Scottish rock band Simple Minds formed in 1977. Simple minds are best known for their hits Don’t You (Forget About Me), Alive and Kicking and Belfast Child. In 1986, the band was nominated for the Brit Award for Best British Group. 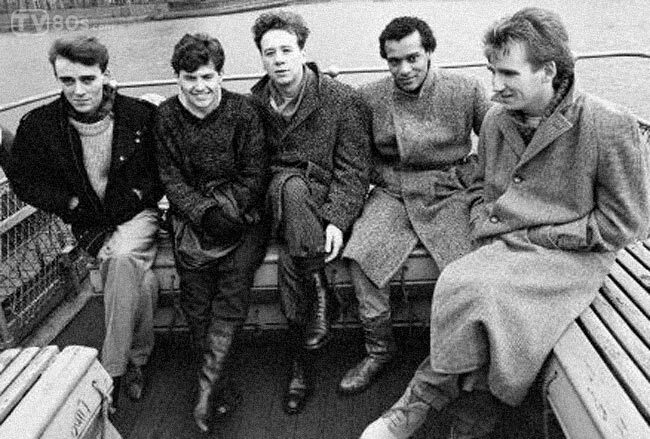 The roots of Simple Minds are in the short-lived punk band Johnny & The Self-Abusers, founded in Glasgow in 1977. In November 1977, Johnny & The Self-Abusers released its only single, Saints And Sinners. The band split on the same day that the single was released. The remaining members continued together as Simple Minds (naming themselves after a lyric from David Bowie’s song “Jean Genie”). 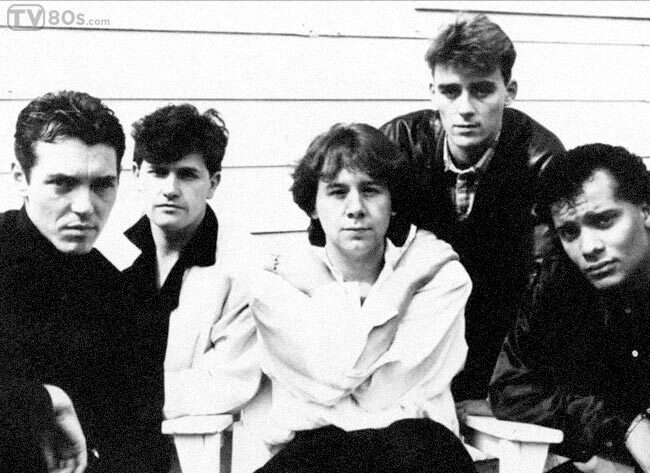 The first Simple Minds album, Life in a Day, was released by Arista in April 1979. Title track “Life in a Day” was released as Simple Minds’ first single. An album reached No. 30 in the UK LP charts. Second album, Real to Real Cacophony with the single “Changeling” brought some of the new wave experimentation. The next album was Empires and Dance. Many of the tracks were minimal and featured a significant use of sequencing. In 1981 Simple Minds switched from Arista to Virgin. The band’s first release on Virgin was two albums: Sons and Fascination and Sister Feelings Call. Album New Gold Dream (81–82–83–84) was released in September 1982. The album was a commercial breakthrough and generated charting singles including “Promised You a Miracle” (#13 on UK Singles Chart) and ”Glittering Prize” (#16). The next record, Sparkle in the Rain, was released in February 1984. It contained hit singles “Waterfront” (No. 1 in New Zealand) and “Speed Your Love to Me” and “Up on the Catwalk”. In November 1985, Once Upon a Time album was released.The record reached No. 1 in the UK and No. 10 in the US, despite the fact that their major hit “Don’t You (Forget About Me)” from the soundtrack of the John Hughes film The Breakfast Club was not included. It generated four worldwide hit singles: “Alive and Kicking“, “Sanctify Yourself“, “Ghostdancing” and “All the Things She Said”. 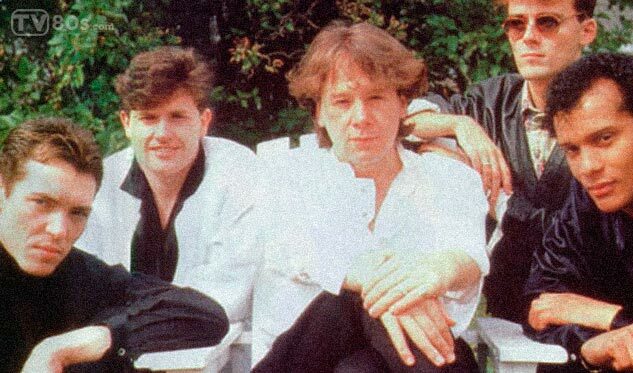 Simple Minds were the first band to sign up for Mandela Day, a concert held at Wembley Stadium. “Mandela Day” song was released on the Ballad of the Streets EP together with” Belfast Child” and a cover version of Peter Gabriel‘s “Biko”), which reached number 1 in the British singles charts. Simple Minds underwent many line-up changes during the recording of Street Fighting Years album. It was released in 1989 and reached No. 1 in the UK charts. “This Is Your Land” was chosen as the lead single for the U.S., but it failed to make a mark on the pop charts. In 1991, Simple Minds returned with Real Life. It reached No. 2 in the UK, where it also spawned four Top 40 singles. Good News from the Next World was released in 1995. The album reached No. 2 in the UK and produced the two Top 20 hits “She’s a River” and “Hypnotised”. 1998 album, Néapolis was the only Simple Minds album released by Chrysalis Records, who refused to release the album in the U.S. It generated two singles including “Glitterball” reached number 18 in the UK. In 2001 Simple Minds released an album of covers called Neon Lights, featuring Simple Minds versions of songs from artists including Patti Smith, Roxy Music and Kraftwerk. In 2001, Jim Kerr and Charlie Burchill also began working with multi-instrumentalist Gordon Goudie on a album to be called “Cry” – it was released in 2002. In 2005, Simple Minds released Black & White 050505, their fourteenth studio album. The album’s first single, “Home” reached No. 37 in the UK. Reverting to the Burchill/Kerr/Gaynor/Duffy line-up, band released a new studio album entitled Graffiti Soul in 2009. The sixteenth studio album “Big Music” was released on 31 October 2014 by Sony Music. “Honest Town” was released as the lead single on 10 October 2014.